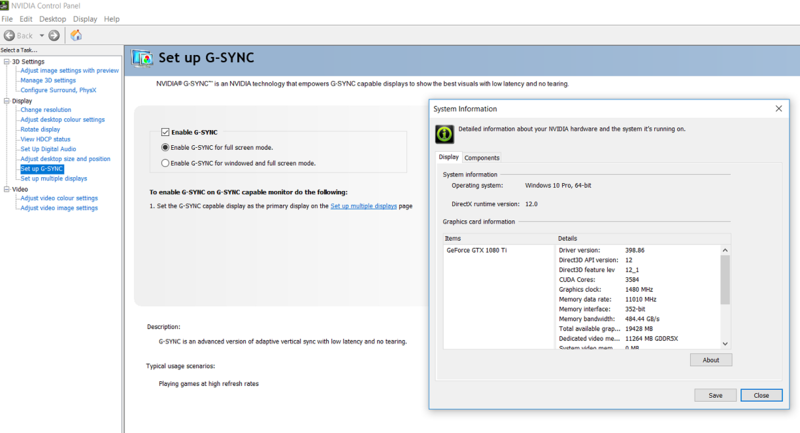 Did Nvidia get rid of gsync setting in their drivers? Why? Discussion in 'Videocards - NVIDIA GeForce Drivers Section' started by max2, Aug 8, 2018. Still there for me. 398.86, latest hotfix driver. 1080ti, Windows 10, monitor connected via displayport. Still is there, you messed something up your side. Grab the latest driver, use DDU, install a new one. Make sure you use the right Display Port for your monitor. Maybe you've plugged in HDMI. Nvidia driver should detect a G-Sync compatible monitor and enable settings. still there, unless gsync is disabled / not avail on your monitor. Another G-sync user that sees and uses the setting without any issue whatsoever.